In a press statement through Hon. 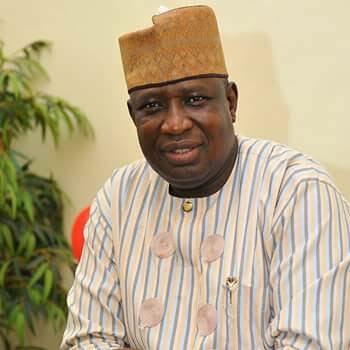 Mushood Mustapha media aide Abdulazeez Kayode have debunk the news earlier published by Kwarareporters.com where the gubernatorial aspirant was said to have been arrested by the Nigerian Police. He said in the press statement that Hon. Mushood Mustapha only honour the invitation of the Police and not arrested. Now the question is "He was arrested or he honoured the police invitation? All the same he visited the police station over an allegation levelled against him. The New Media is undoubtedly a veritable tool for prompt dissemination of information but just like all spheres of human endeavours, the New media has been infiltrated by unprofessionals who sees it as a medium to peddle all sorts of falsehood. Its so nauseating to read a news by Kwarareporters.com that Hon. MM has been arrested over threat to life. As a good and law abiding citizen of Kwara state, Hon. Moshood Mustapha, despite his tight schedule, deemed it fit to honour the police invitation which officially came after the news trended on the social media. During an interractive session with Hon. MM, the police discovered that Hon. Omotose's accussation of threat to life was baseless and an attempt to seek for uneccessary attention. Hence, the case was dismissed. Kwarareporters.com is therefore, advised to filter everything it hears on the screen of truth before circulating it as the blog is fast losing its credibility. Hon. MM is in the 2019 gubernatorial race for good and no amount of challenges will derail him from this God's ordained project. The APC in Alanamu ward should stand as a united front and resist all forms of manipulations aimed at disintegrating the ward ahead of the APC congresses slated for next week.